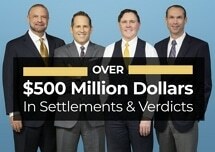 Our attorneys, who have more than 100 years of combined experience, have secured millions of dollars in settlements and verdicts for their clients over the courses of their careers. Their ability to continue to secure compensation is the result of our use of advanced technology, our network of experts and our dedication to justice. If you live in the Venice area and you or someone you love suffered a serious injury because of another's negligent or reckless act, look no further than the law firm of Shapiro, Goldman, Babboni & Walsh for the support and guidance you deserve as you pursue the compensation you need for a secure financial future. If you would like to learn more about how we approach personal injury and wrongful death cases, you can do so by scheduling a free initial consultation at our Venice law office.